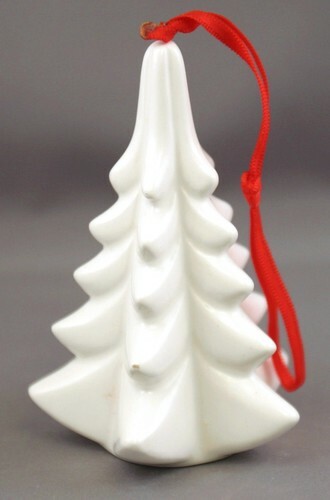 White ceramic Christmas tree ornament with red ribbon hanger. Classic. The ornament is about 4 inches high by 2 1/2 inches by 2 1/2 inches.